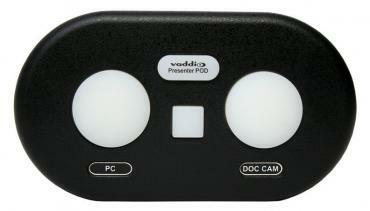 The PresenterPOD is the perfect complement to the Vaddio AV Bridge MATRIX PRO, ProductionVIEW line of camera control consoles and AutoPresenter camera control systems. The PresenterPOD has two large buttons located on the POD to offer flexible control over the automated content and other necessary content sources. A third, small square button is available for PIP on/off adjustments if picture-in-picture (PIP) is stored within any of the presets activated when used in conjunction with the AutoPresenter, which features the PIP function. The PresenterPOD connects via a single Cat. 5 cable to the PresenterPOD Interface for power and data. 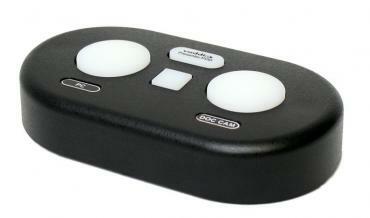 The Interface can be programmed for either latching or momentary triggers. 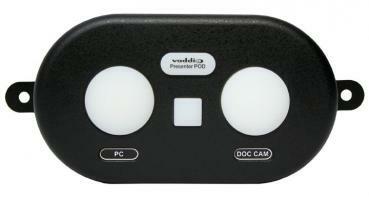 Additional PresenterPOD Additional PresenterPOD can be used with PresenterPOD system.